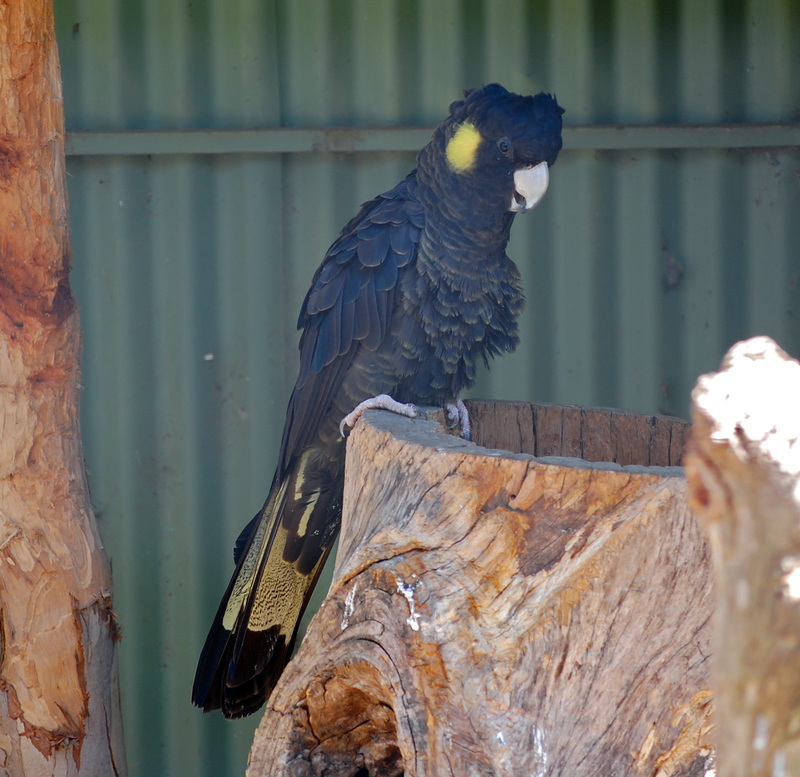 A common bird in the Blue Mountains, particularly in the upper mountains. It has a yellow patch on the side of its head, and yellow under the tail. 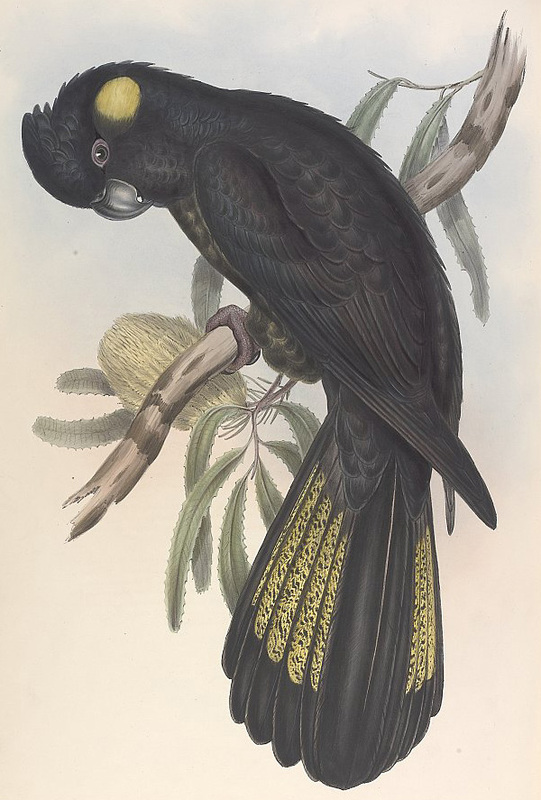 The Red-Tailed Black-Cockatoo is not generally found in the Blue Mountains and does not have a coloured patch on the side of its head. It has a screeching call that sounds a lot like an eagle or other bird of prey. 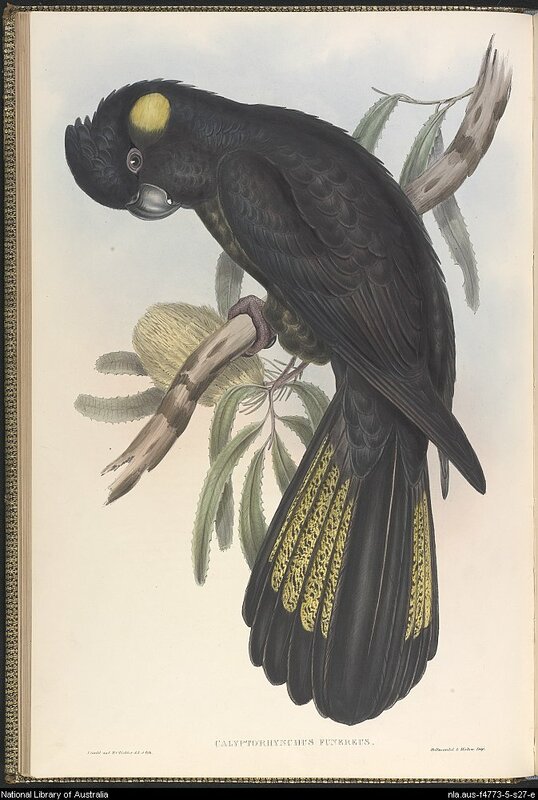 Artwork: John Gould, 'The Birds of Australia', 1848. Original Scanned Image. 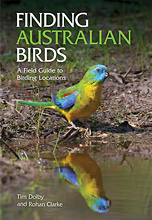 NEW: Finding Australian Birds A Field Guide to Birding Locations, by Tim Dolby and Rohan Clarke. 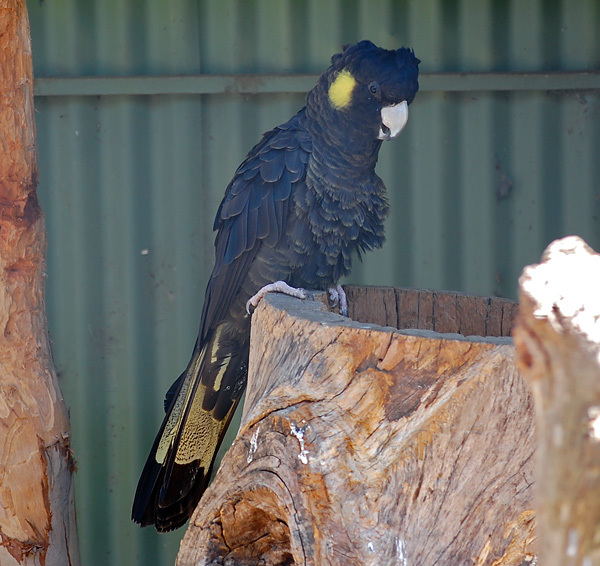 From the eastern rainforests to central deserts, Australia is home to some 900 species of birds. This book covers over 400 Australian bird watching sites conveniently grouped into the best birding areas, from one end of the country to the other. This includes areas such as Kakadu in the Top End and rocky gorges in the central deserts of the Northern Territory, the Great Barrier Reef in Queensland, rainforests distributed along the eastern Australian seaboard, some of the world's tallest forests in Tasmania, the Flinders Ranges and deserts along the iconic Strzelecki and Birdsville Tracks in South Australia, and the Mallee temperate woodlands and spectacular coastlines in both Victoria and south west Western Australia. 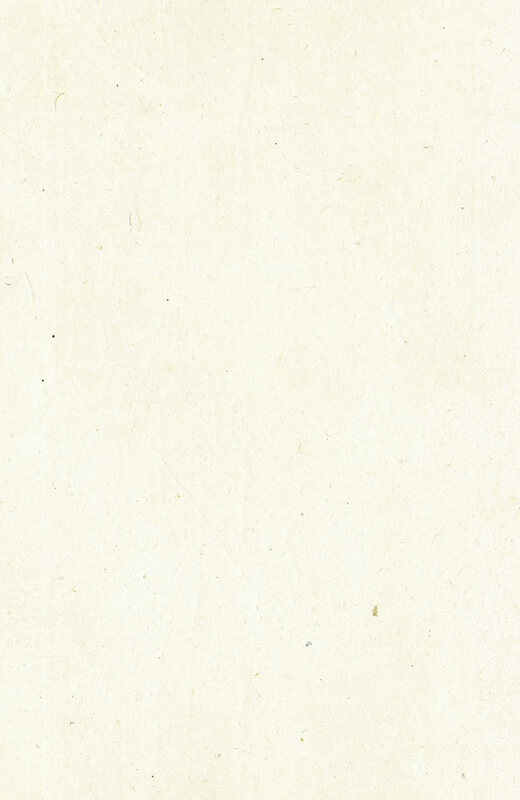 Birdsong, Don Stap. From the promotional material: "Following one of the world's experts on birdsong from the woods of Martha's Vineyard to the tropical forests of Central America, Don Stap brings to life the quest to unravel an ancient mystery: Why do birds sing and what do their songs mean? We quickly discover that one question leads to another. Why does the chestnut-sided warbler sing one song before dawn and another after sunrise? Why does the brown thrasher have a repertoire of two thousand songs when the chipping sparrow has only one? And how is the hermit thrush able to sing a duet with itself, producing two sounds simultaneously to create its beautiful, flutelike melody?"